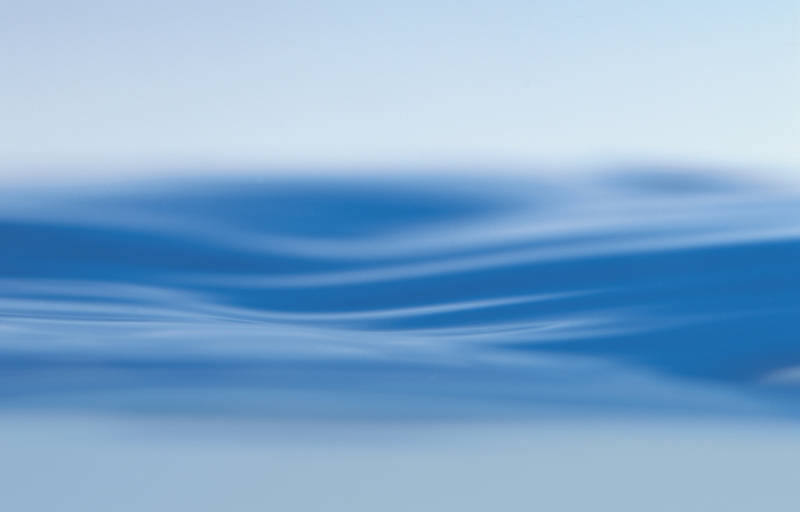 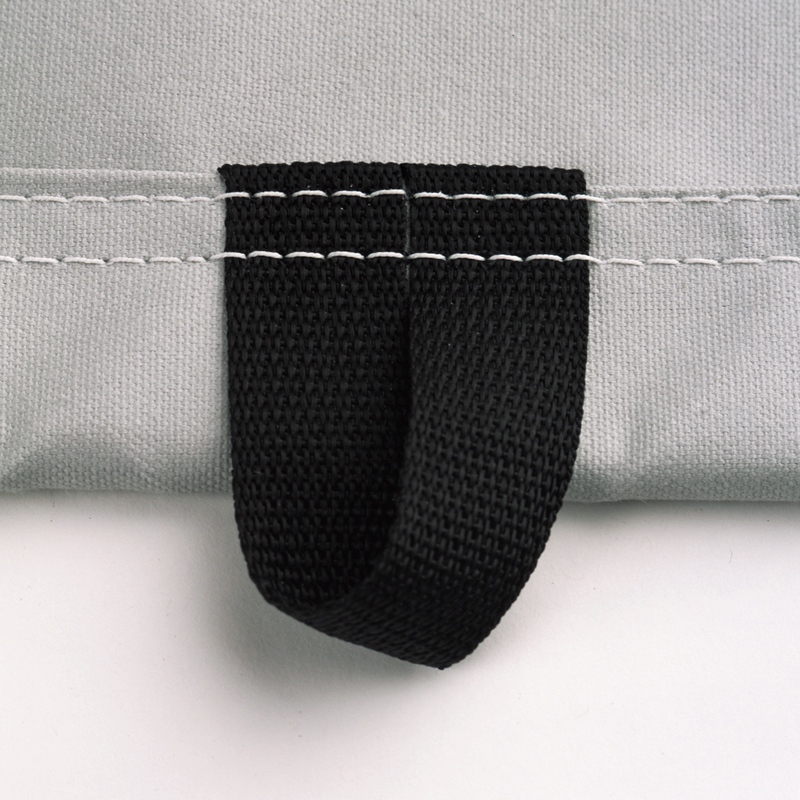 Poly-Guard® 8oz/sq.yd marine grade Polyester. 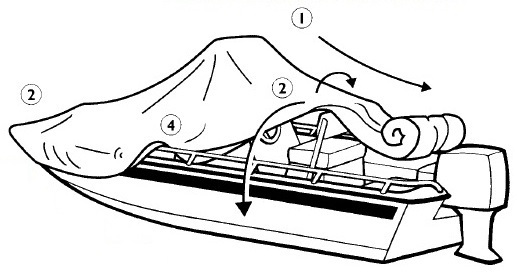 Motor cover included for most outboard models. 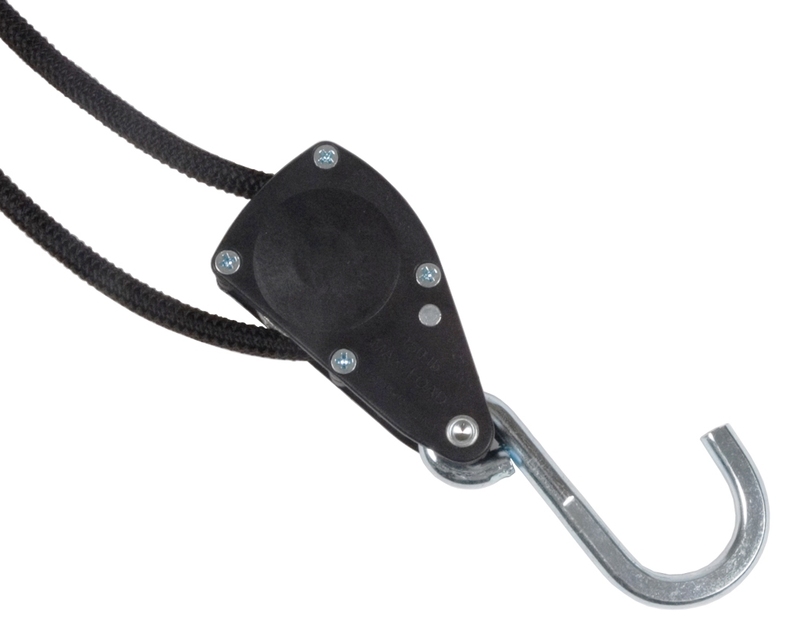 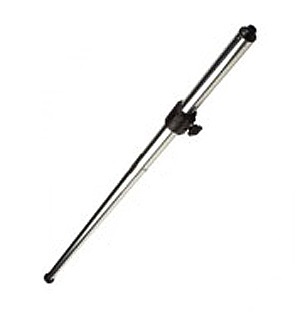 Will NOT fit ANY NON-Factory-Installed Arch, Tops or Wakeboard Tower even though they may be the OEM part because the installer may have installed it in a different location. 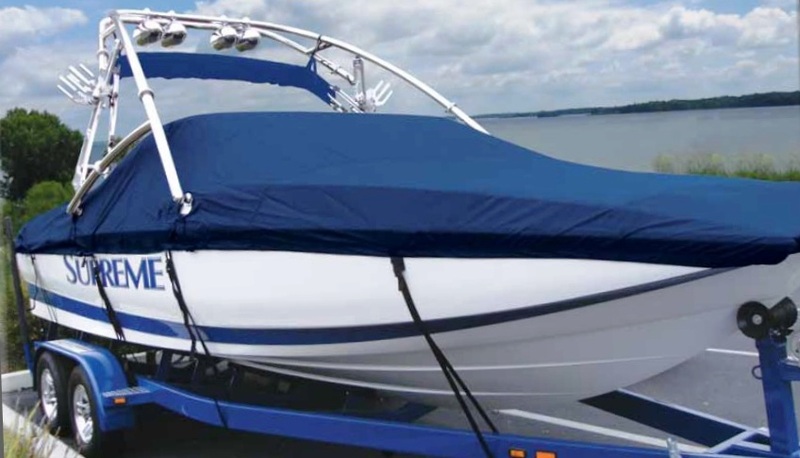 NO Tower or Bimini: If the boat (and cover) does NOT have an OEM Tower or Bimini then it will cinch at the center of the transom under the rub rail (or under swim platform, if so equipped). 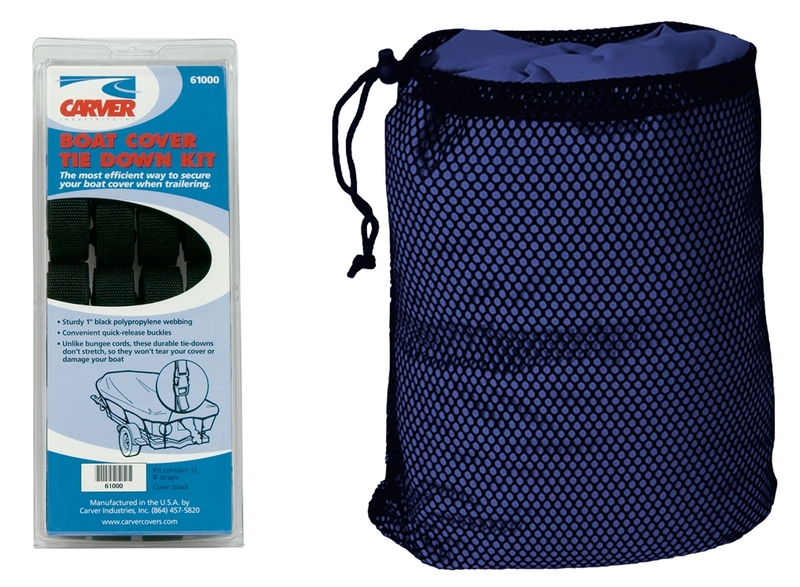 Installation: Cover is rolled and packaged with the bow end of the cover to the outside. 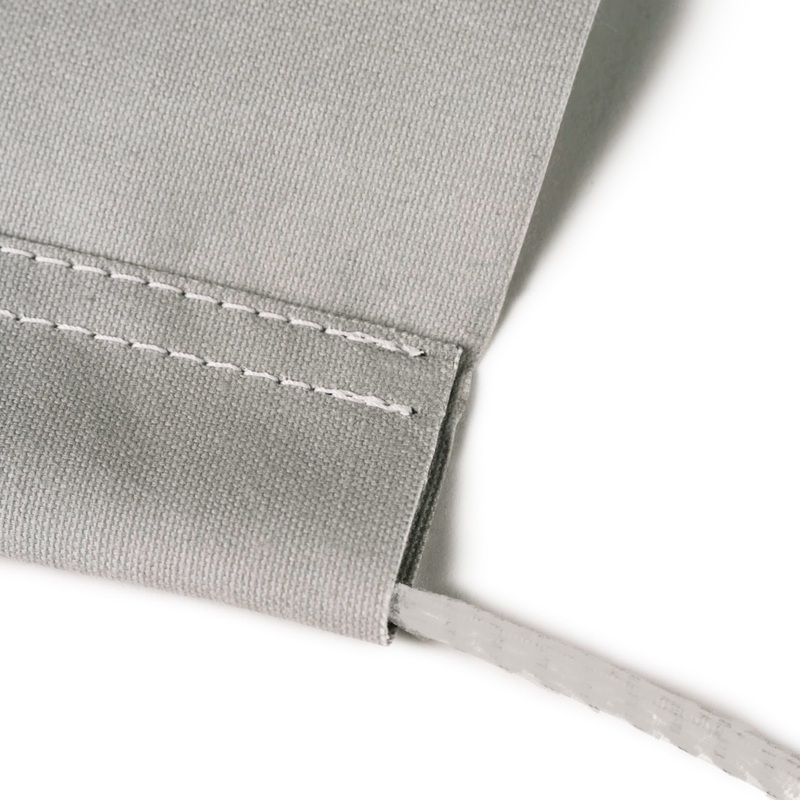 The tag on the bow end is sewn into the inside hem of the cover. 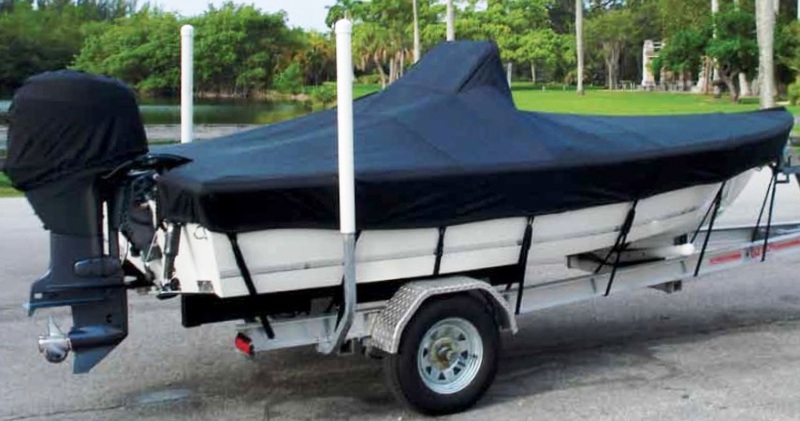 To cover your boat, start at the bow and follow these instructions: Carver(r) Custom-Fit(tm) Boat-Cover Installation Instructions.